Shoplifting is a serious problem. Although it is often perceived as an “ordinary crime” due to its supposed victimless nature, in fact it costs the UK’s retail industry £335m a year. And part of this cost is passed on to consumers in the form of higher prices. The way buildings and streets are designed can help reduce shoplifting, and architects, city planners and law enforcement teams have a range of techniques to help them do this. For example, Crime Prevention Through Environmental Design (CPTED) strategies try to maximise opportunities for official surveillance and restrict people’s access to certain areas while directing them to others. Such techniques appeal to rational thought in potential shoplifters by trying to make the costs or risks of crime outweigh the benefits. But other elements of retail design appeal to unconscious decision making, encouraging you to do things without realising, in order to increase the chances of you making a purchase. 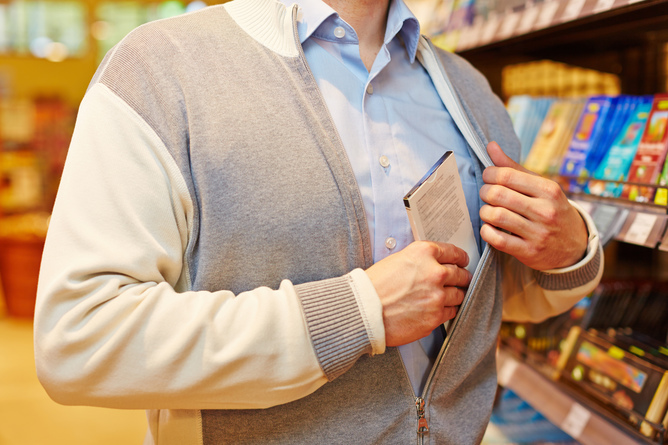 We believe the same ideas can be used to deter shoplifters. A retail environment can be described as “a bundle of cues, messages and suggestions which communicate to shoppers”. This has an ability to manipulate people’s behaviour and make them more likely to buy something. Have you ever wondered why you have to walk all the way to the far end of a shopping mall to access the next set of stairs or escalators? 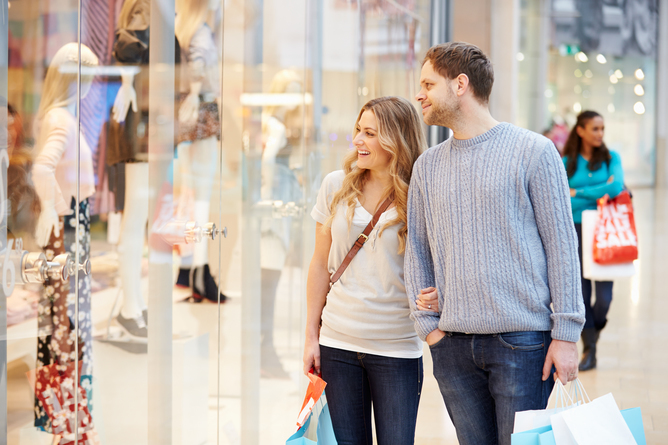 While dictating the flow of visitors around the shopping centre, it also ensures people are exposed to the maximum number of stores and products, increasing the chance of an impulse buy. Because “all buildings imply at least some form of social activity“, the arrangement of wall partitions, doors and other features can affect, amplify or curtail social interaction. For instance, a designer can create specific areas such as access lanes where people can come into contact with each other. It is this ability of a retail environment to influence choices that is at the heart of our proposition to tackle high-street crime. The nudge theory is the idea that people make most decisions unconsciously and non-rationally and so people can be encouraged to do things without having to convince them logically. Under this idea, we believe potential shoplifters can be encouraged to do the right thing using environmental signals that target the non-rational parts of their brains. Nudging provides an interesting antithesis to conventional approaches because it is not dependent on a rational judgement by the criminal (for example, deciding security cameras make a theft too risky). We believe that nudges can either be developed to target shoplifters specifically or to foster an environment that affects everyone in it by enhancing natural surveillance. For example, we can imagine a store that earmarks a certain amount each year for charitable work and another amount as shoplifting costs. What if the store displayed signs indicating that money saved by reduced shoplifting would be donated to charity? By presenting this cue we are not threatening prosecution. We are offering a choice that allows a potential criminal to contribute to society by not stealing from the store. In this manner, the tenets of nudging are employed as cues in the environment to present their choice very differently from conventional means. We are enhancing the benefits of not committing crime as an alternative to enhancing the cost of doing so. Although this approach still relies on some rational thinking on the part of the criminal, it is inspired by nudge theory because it alters the way choices are presented to criminals in order to encourage them to do the right thing. The more non-rational elements of nudging could also be employed to produce playful environments that encourage natural surveillance. If people want to interact with their space, for example if it includes art installations or technology, they may be encouraged to unconsciously watch their immediate environment (see video below). Such playful interactions with goods or other customers in a retail environment, (if designed correctly) would present a harder target for criminals and at relatively low-cost. We want to encourage a shift from conventional approaches from punishment to prevention when tackling high street crime. To do this, we think designers and architects should experiment with nudge theory to produce innovative thinking in this space, augmenting conventional crime prevention methods such as CPTED. We have already tried incarceration for centuries and people are still found shoplifting. Perhaps alternative ideas could help reduce crime. Dhruv Sharma is PhD candidate, HighWire Centre for Doctoral Training at Lancaster University. Myles Kilgallon Scott is PhD candidate, HighWire Doctoral Training Centre at Lancaster University.